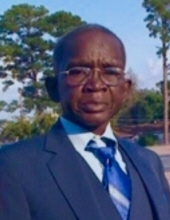 Celebrating the life of Charlie Leroy Epting, Sr.
Obituary for Charlie Leroy Epting, Sr.
Charlie Leroy Epting, Sr, 66, of Hattiesburg passed away on January 26, 2019. A memorial service will be held on February 9, 2019 at 11:30 a.m. at Moore Funeral Home in Hattiesburg. Mr. Epting was of the Baptist faith. He was a diesel mechanic and a jack of all trades. He was preceded in death by his parents, Chester and Ida Lee Epting, Sr; his daughter, Kimberly McGowan; his special friend, Annie Everett; one sister, Mary Davis; and three brothers, Chester Epting, Jr, Richard Epting, and Jerimiah Epting. He is survived by his son, Charlie Leroy (Tana) Epting, Jr; his three siblings, Carolyn Millsap, Janet Fox, and Marilyn (Jimmy) Dailey; and six grandchildren. To send flowers or a remembrance gift to the family of Charlie Leroy Epting, Sr., please visit our Tribute Store. "Email Address" would like to share the life celebration of Charlie Leroy Epting, Sr.. Click on the "link" to go to share a favorite memory or leave a condolence message for the family.